Did you Watch that testimony?! Imagine not 1 bill, not 2 bills, not 3 bills, but 4 bills were cancelled after she anointed her hands and tore up her bills! May the same victories be experienced in your house in Jesus name. But what was really going on here? What was causing such a trouble where her finances were concerned? It was a demonic embargo that wanted to prevent her from moving forward. Child of God, when you are not moving forward at a divinely programmed speed, there is an embargo in operation. When you keep falling and rising, the enemy of your star has put an embargo on your shining. When you suffer from any limitation or negative restriction, there is an embargo in your life. An embargo is a satanic limitation, restriction or prohibition which is preventing, stopping or adversely controlling, the fullfillment of destiny. Pharaoh placed an embargo on the freedom of the Israelites in Egypt and even when God was set to deliver His people, Pharaoh hardened himself and reinforced his restraints so that they wouldn’t break free. This Friday every satanic embargo on your financial liberty must be lifted in the name of Jesus. Every embargo of darkness placed upon your star must be violently lifted now in the name of Jesus. This Friday you must join with me, we are going to wash our hands out of every ungodly covenant’s that have been costing you financially and spiritually. As a result, I see serious demonic ties being broken out of your life. When I was praying for you I saw a demonic counter-offer which was made over your financial star. Somebody has seen your financial potential and put a block on it. But we must break it now! Laban was given access to the financial star of Jacob; he made a counter-offer which amounted to placing an embargo on Jacob star. “”You cannot go”” was what Laban was really telling Jacob. PRAY THIS OUT LOUD WITH ME NOW !!!! Jehovah God, my Father As I submit My Prayer Request Thank You for liberating my star from every embargo of the wicked. I SHALL ARISE AND SHINE. All gates of opportunities and blessings shut against my star, be opened by fire in the name of Jesus. NOW GO AHEAD AND SUBMIT YOUR PRAYER REQUEST I AM WAITING FOR IT. I WILL PRINT IT AND COME IN AGREEMENT WITH YOU LIVE THIS FRIDAY !!! Whatever Seed You Sow…Will Unlock The Harvest God Has Promised You This YEAR. Thank You From My Heart..! 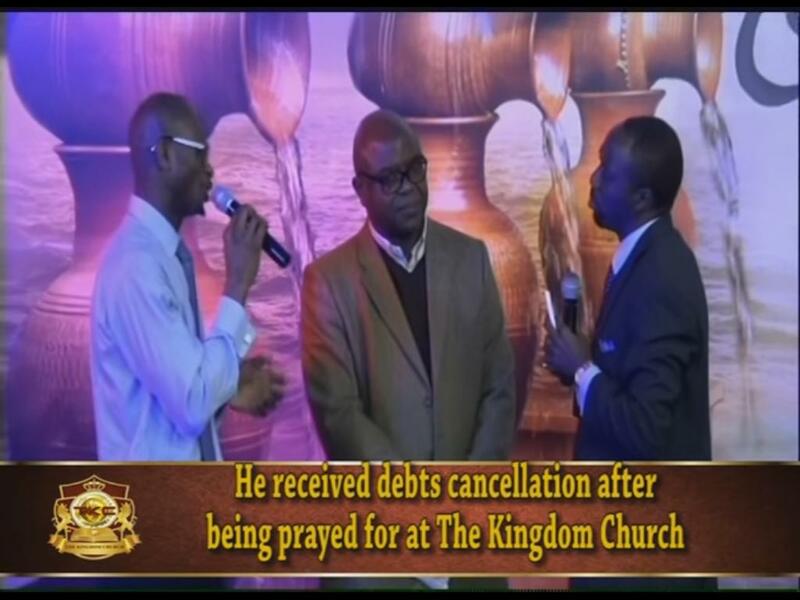 Click Below To Watch Another Powerful Testimony on How His Debts Were Cleared Since Attending Miracle Anointing Of the Hands Service!